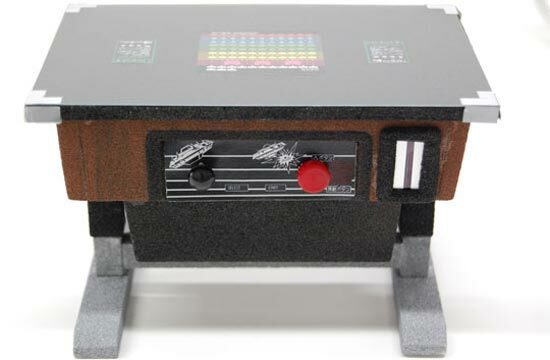 Check out this fun piggy bank, the Space Invaders table top arcade game piggy bank. Only available in Japan at the moment, this fun piggy bank is shaped like a table to arcade game of space invaders. It can take up to 80 100 yen coins, and each time you add a coin to it a space invader lights up. It is made by Takara Tomy and features a tiny LCD screen that counts your coins, I wish this was available in the US and Europe, I would definitely buy one.